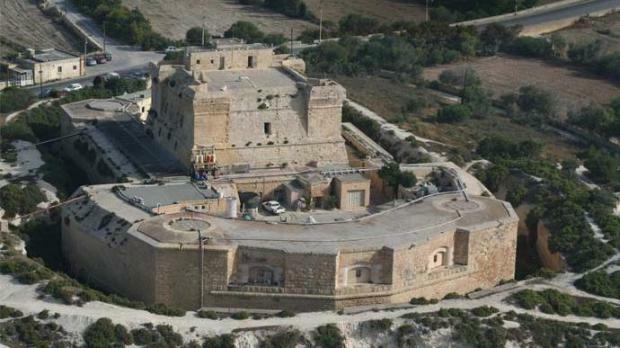 The relocation of the National Aquaculture Centre from Fort San Lucian in Marsaxlokk should be given top priority for the tower to be restored and opened to the public as a historic attraction, Fondazzjoni Wirt Artna siad. In a statement, the foundation welcomed the news that the government was actively considering the relocation of the centre. It said it has been campaigning for the release of the fort from its present industrial use for its restoration for many years. Fort San Lucian was turned into the National Aquaculture Centre in 1988 and has since suffered a lot of damage to its fabric through lack of preservation and misuse, it said. The fort was originally built by the Order of St John in 1610 to ward off corsair attacks. Its building cost 11,745 scudi. The tower commands the whole of Marsaxlokk harbour. In the 18th century, a semi-circular battery was added to its front and a ditch was excavated around them in 1795. During the French invasion of 1798 it was the only fort to see any action and to hold against the enemy. During the two-year blockade, the British used it as a final fall position after digging a continuous entrenchment from coast to coast. In 1873, authority was given for the re-armament of the tower with three 10-inch 18-ton rifled muzzle loading guns mounted in a new casemated battery. Fort San Lucian has also the unconfirmed distinction of being the only place in Malta were nuclear bombs were stored during one period of the Cold War by the British.